The key to career happiness that no one’s talking about is finding a job that suits your personality. If someone is analytical and prefers working on their own, they will fit well into a role as a computer programmer or data analyst. On the other hand, a very outgoing person might be better suited for sales or recruiting. Accepting a job that doesn’t match your personality can be like shooting yourself in the foot. To avoid taking a job in which you don’t feel you belong, why not consider a job in customer service? If most of the following criteria apply to you, maybe you should. Someone who considers themselves a “people person” might be a perfect candidate for a job in customer service. Customer service jobs often require a lot of time speaking to others, either in person or over the phone. Thus, it makes sense that outgoing personalities might be drawn to these roles. Helping others is typically the whole point of customer service. As one of our operators, Arnold, says, “When callers call in distress, I love being able to put them at ease and assist them with getting the help that they need.” If you are the person who helps the old lady with her groceries or lets the anxious driver into your lane, then compassion is clearly in your nature. That’s a good thing because compassion is key to success in the customer service field. 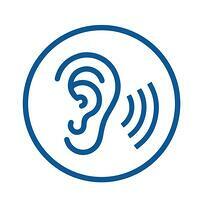 In customer service roles, listening is often an essential element of the job. As the face of the company, you will field customer inquiries, and you need to be able to address all concerns accurately and empathetically. This means listening carefully. It is essential that customers feel their concerns have been taken seriously and that any appropriate next steps will be implemented. Not paying attention will only anger the customer and might even lead to losing them as a client. As a customer service rep, your ears should always be open. "If you don’t to listen to your customers, you’ll never be able to help them solve their problems," says an article on insightsquared.com. It’s not all fun and games in customer service, although a lot of times it is. In a customer service position, you are representing a company or organization to the public. In that moment, you are the face and voice of the company. Consequently, you’ll have to deal with customers who direct their frustration and complaints with the company at you, or you can get a customer with a good sense of humor who is having a great day and passes it onto you. Do these qualities describe you? If so, then you should seriously consider a role as a customer service representative. If you strive to help others, are a good listener, and treat everyone with patience, you’d be a great fit at Dexcomm. Visit this page to apply for one of our open customer service positions.